18+. New SportPesa customers only. No SportPesa Bonus code needed for this offer. Minimum deposit £10. Deposits made using Neteller or Skrill don’t qualify. Max bonus £50. Minimum odds of 4/5 (1.8) for singles. Minimum odds of 2/5 (1.4) per leg of combos. In-Play bets do not qualify. When your qualifying bet settles, you must accept the offered bonus. Bonus credit will equal value of your qualifying bet stake. Log out and back into your account to see your bonus credits. There is a 3x wagering requirement placed on the bonus credits. Free bets expire after 30 days. Full T&C’s apply - Gamble Responsibly - begambleaware.org. No SportPesa Bonus code needed for this offer. Minimum odds of 4/5 (1.8) for singles. Minimum odds of 2/5 (1.4) per leg of combos. When your qualifying bet settles, you must accept the offered bonus. Bonus credit will equal value of your qualifying bet stake. Log out and back into your account to see your bonus credits. There is a 3x wagering requirement placed on the bonus credits. SportPesa Bonus Code – Bet £50, Get £50 For New Customers! You may have seen rave reviews about the SportsPesa Jackpot in Africa. Everyone goes crazy for it. There’s some serious money to be won if you can predict the results correctly. SportPesa has roots in Africa but they are starting to make a name for themselves in the UK and they are the current shirt sponsors of Everton; the SportPesa logo proudly appears on the front of the shirt. New customers can get a tasty £50 bonus after their first settled bet and you don’t need a SportPesa bonus code. SportPesa also has a nice casino suite. Although there is no separate casino welcome offer, they have plenty of ongoing promos for existing customers. If you want to find out everything there is to know about SportPesa’s bonuses, you are in the right place. SportPesa Bonus Code – Enjoy up to a £50 Sign Up Promo! New UK SportPesa customers qualify for a very cool sign up offer and no SportPesa bonus code is required. Simply register a new account, make a deposit using a debit card or a credit card and place a first ever bet of up to £50. Minimum qualifying stake is £10. Your qualifying bet must be a win single or combo bet. Win singles must be placed at odds of 4/5 (1.8) or bigger while each leg in combos must be 2/5 (1.4) or bigger. Only the win part of each way bets will count towards this promotion. If you place a first bet using money deposited by Neteller or Skrill you will not qualify for the SportPesa sign up offer. Only debit or credit cards are eligible. Once your qualifying bet has settled, the system will automatically credit you with bonus credit matching the amount of your first bet up to £50. Your bonus credit matching your qualifying bet stake up to £50 will be credited within 24 hours and it will expire if not used after 30 days. Please note that you must log out and back into your account to see your bonus credits. If you want to follow other punters and view how they’re getting on with their welcome bonus, check out #makeitcount on Twitter to see their successes and failures. SportPesa Bonus Code: How do I get the SportPesa sign up bonus? Click one of our links to go to SportPesa. Register and deposit £10 or more with a credit or debit card. Place a single bet at odds of 4/5 (1.8) or a combo bet (min odds 2/5 (1.4) per leg). Minimum stake £10. Max bonus £50. Once your qualifying bet has settled, you will be offered your bonus credit, which you must manually accept. You will receive bonus credit matching the stake of your qualifying bet. You must log out and back in to view your bonus credits. Bonus credits must be used within 30 days or it will expire. What are the SportPesa Sign Up Offer Key Terms and Conditions? Please check the key terms and conditions of the SportPesa sign up offer below. New SportPesa customers aged 18 years or older. Check SportPesa for full terms and conditions. SportPesa Bonus Code – Is there a No Deposit Promo Code? No deposit bonus offers used to be widespread in the betting industry. However, recently introduced regulations have sparked a big decline in their availability. There is no SportPesa bonus code for a no deposit bonus. Are there SportPesa Bonus Codes for Existing Customers? What are SportPesa’ Existing Customer Promotions for Sports Betting? SportPesa Premier League SpecialsThe Premier League is one of the most popular betting events in the UK. If you bet with SportPesa you will usually find some superb price boosts for Premier League matches. SportPesa often has enhanced Premier League doubles or trebles, so if you want to win bigger on the Premier League, sign up with SportPesa now. SportPesa Spanish Football PromotionsSpanish football is a fixture on UK TV screens and the likes of Real Madrid and Barcelona are household names in Britain. Betting on Spanish teams is massive these days and SportPesa has some nice enhanced odds specials. At the time of writing, they had an enhanced acca for Sevilla, Celta Vigo, Villarreal and Espanyol all to win in the Spanish Cup enhanced from 15/2 (8.5) to 11/1 (12.0). Boost paid as a free bet and max stake is £10. SportPesa Best Odds GuaranteedYou can bet on the horses with SportPesa too and they are best odds guaranteed on all UK and Irish horse racing. If you place a racing single or multi after 9am on the day of the races and take a price, SportPesa will pay you at the best price if it wins. The fact that they are best odds guaranteed on racing multis too is a big positive so if racing accas are your thing, sign up with SportPesa! At the time of writing the above promotions were correct, but they will change so check SportPesa’s promos page for new additions. Are there SportPesa Bonus Codes for Online Casino? SportPesa Casino – Lots Of Promotions For Existing Customers! It is fairly unusual for an online casino not to have a welcome offer and that is the route SportPesa have gone down. They do have a nice range of promotions for existing customers though, including their fantastic Football Fever offer. If you make a minimum deposit of £50 and place a £10 bet on the Premier League between Friday and Monday every weekend, you will get a free spin for every goal scored in that round of fixtures. Any winnings from free spins must be turned over 50x before they can be withdrawn. Make it Count Monday and Best Of Both Thursday were other promotions that SportPesa Casino offered at the time of writing. Please note that deposits made via Neteller, Skrill or any other e-wallet will not qualify for any of the aforementioned SportPesa Casino Promotions. How Do I Get The SportPesa Casino Football Fever Bonus? Sign up with SportPesa Casino via one of our links. Deposit a minimum of £50. E-Wallet deposits will not qualify. Place a £10 bet on any weekend or Monday night EPL match. Get a free spin for every goal scored over the weekend in the Premier League. Free spins will be credited on the Tuesday after the Monday night match. Winnings from free spins must be turned over 50x before withdrawals can be made. Strict turnover and wagering rules apply check SportPesa for full terms and conditions. Who are SportPesa And Can You Trust Them? SportPesa have already forged a good reputation in Africa and sponsoring Everton has helped them raise their profile in the UK. They have a nice £50 sign up offer for their sportsbook and some cool ongoing promos for their casino customers too. For football and racing fans SportPesa has some very nice specials and you will often find some big enhanced doubles and trebles. They have no shortage of sports available for you bet in play on, and you can find out more below. What Sports Can I Bet In Play On With SportPesa? SportPesa Payment Methods – What are the options for making Deposits and Withdrawals? Another thing you should make it your business to check before signing up with a new betting site are the available payment methods. The more the merrier is our view, but unfortunately, the payment methods on offer for UK customers from SportPesa are limited. SportPesa accepts Visa and Mastercard credit and debit cards and we recommend using those for your first deposit. They also accept e-wallets Neteller and Skrill, but you won’t qualify for the signup or casino promotions if you deposit using either of those methods. It is a pity that SportPesa does not accept PayPal for depositing or withdrawing as that is one of the world’s most commonly used e-wallets. If they do become one of the PayPal betting sites, we will let you know here first. SportPesa Mobile Betting – Does SportPesa have Mobile Betting Bonus Codes? SportPesa recently introduced a native SportPesa app for Android and if you use an Apple, Blackberry, Windows or Nokia device you can bet via the SportPesa Web App. At the time of writing, there was no SportPesa bonus code for mobile-only offers. If you bet on the go with SportPesa’s web or mobile apps you can still get involved with their excellent enhanced price offers. We found the app to be very user-friendly, with smooth operation and fast page load times the main positives. It would have been nice if SportPesa had mobile-focused promotions like William Hill, but even so we think that their mobile and web apps are worth checking out. 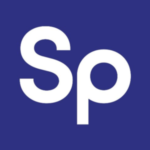 If you are a punter who likes to have the option to bet anywhere at any time on any sport, then sign up with SportPesa and check their mobile app out now! Customer Support – Help with SportPesa Bonus Codes if required! It is often said in business that the customer is king, and we are happy to report that SportPesa tries to treat their customers like royalty. The quality of customer service is usually a good indication of the overall ethos of a betting site, and SportPesa looks after their members. They have an extensive FAQs section which should be your first port of call if you have any questions. If you don’t find an answer there, the SportPesa 24/7 Live Chat operators will be happy to help you out. Any disputes will be handled by IBAS and you will find their number and the rest of the relevant SportPesa contact details below. FAQs: Answers to hundreds of frequently asked questions. SportPesa Live Chat – 24 hours a day, 7 days a week. Phone – UK Customers call IBAS for dispute resolution: +44 207 347 5883. Post: SportPesa, 2nd Floor, Athol House, 21a-23 Athol Street, Douglas, Isle of Man, IM1 1LB. SportPesa Bonus Codes – £50 Bonus For New Customers So Sign Up Now! SportPesa is one of the UK’s fastest growing bookies and their bet £50 to get £50 for new members is just one reason why you should consider signing up! You don’t need a SportPesa bonus code to get the welcome offer, and no promo codes are needed to get their promotions for existing sportsbook or casino customers. With solid customer service and a cool mobile app, SportPesa is a betting site you should definitely check out. Do I Need a SportPesa Bonus Code for their sportsbook sign up offer? There is no SportPesa bonus code required to avail of their cool sportsbook sign up offer. Simply open an account, make a deposit of £10 or more and place a £10-£50 bet to get up to £50 in bet credits as a bonus. Odds restrictions and wagering requirements apply. Bets placed using funds deposited by Neteller or Skrill do not qualify. Check the SportPesa Terms and Conditions for full details. Does SportPesa Have Any Mobile Bonus Codes? It is always nice to see mobile-focused promotions, especially for punters who bet chiefly on the SportPesa web app or Android app. Unfortunately, there are no SportPesa mobile bonus codes as they do not have any promotions specifically for mobile bettors. You can still avail of the same promotions that are offered on the desktop site, so you won’t be missing out if you bet on the go with the SportPesa Mobile App. For a lot of people around the world, PayPal is the e-wallet of choice. SportPesa does not accept PayPal though and this has to be seen as a major negative. SportPesa does accept deposits and withdrawals made via Neteller and Skrill. However, remember that you won’t qualify for the SportPesa sportsbook welcome offer if you make your first deposit using either of those e-wallets.